Execute your missions with surgical precision. 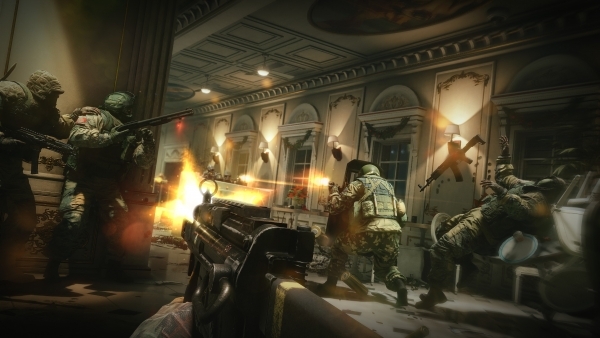 Ubisoft has released a new gameplay trailer and screenshots for Rainbow Six Siege. Team Rainbow is bound to no single nation when combating global terrorism. Representing the best tactical Operators from around the world, they are the united force against a rising tide of global crises. Using the best weapons and gadgets available today, they execute their missions with surgical precision and have unprecedented success in the field. A hostage situation in Courchevel. A bomb disarming in Los Angeles. A terrorist takedown in Hamburg. No matter the situation, Team Rainbow always stands ready. Rainbow Six Siege is due out worldwide for PlayStation 4, Xbox One, and PC on December 1.